Before mechanic simulation games were released annually, there was Gearhead Garage Virtual Mechanic, presented by tool giants Snap-On. As much as I really want to review this game I simply can not get it to run on any of my computers. I’ve tried 32bit Windows 7 with compatibility modes, I’ve messed around with virtual machines and nothing seems to work. Despite my inability to play through the game again and feel as though I can write an adequate review I still want to talk about the game. Back in 2002 Walmarts weren’t all flashy super centers and my favorite Walmart, at the time, was in White Lake Michigan. Back then the electronics department was a small section in the center of the store that was stocked, sometimes overstocked, with no real sense of organization. I remember often playing the N64 display because I never owned an N64 of my own. The PC games were often just stacked up on a shelf, and some strewn about the floor. That’s where I found Gearhead Garage in a double pack with Sprint Car Racing, but it was Gearhead Garage that piqued my interested. When I got home I installed the game and prepared to see what I had just bought. I will say that even at the time I felt the graphics were a bit dated, they didn’t look horrible but they just looked a bit dated. (I didn’t know the game was three years old at that point). In the game I took the role of a mechanic accepting jobs to repair or fully customize vehicles for customers, which I instantly loved. The level of detail blew me away. Again the textures weren’t that great but you could take nearly everything off the vehicle in a realistic way and either repair, scrap or buy brand new replacement parts to put it all back together again. After a certain number of customers were appeased you were then able to purchase vehicles at auction to either repair and resell or to park out in the garage and show off. By today’s standards of games such as Grand Theft Auto or even Forza, Gearhead Garage wouldn’t be able to survive, but for its day there seemed to be endless fun to be had. My only real complaint about Gearhead Garage is that I always hit a point where no matter what I did I couldn’t progress. Within the game your garage kind of ranks up and you will no longer have customers coming to you to earn money. Your only way of gaining income, and therefore unlocking further progress in the game, is to buy cars at the auction and resell them. No matter how hard I tried I could never earn enough money to progress, and so I just stopped playing the game. It wasn’t until many years later that I found out there was a patch that was suppose to help overcome this, but even after patching the game I couldn’t progress. This many years on I still believe Gearhead Garage is an amazing game, dated graphics but still an amazing game. 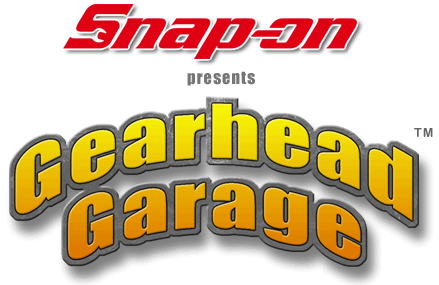 Oddly enough their website is still operational: GearheadGarage.com. There you can find out all the information about the game, download the patch and get some tips for how to play the game. Although many people may feel the current mechanic sims are a kind of spiritual sequel or reboot of Gearhead Garage, there actually was meant to be a Game Boy Advance sequel called Gearhead Garage Adventure. In the game the player would pretty much do exactly what they did in the original, albeit this time you were given a small adventure course to race after you built a car, but sadly the game was never officially finished. Will Gearhead Garage ever see a real reboot or sequel? I highly doubt it, but at the very least I would love to see a version that works on modern PCs so I could at least play the game I loved so much again.